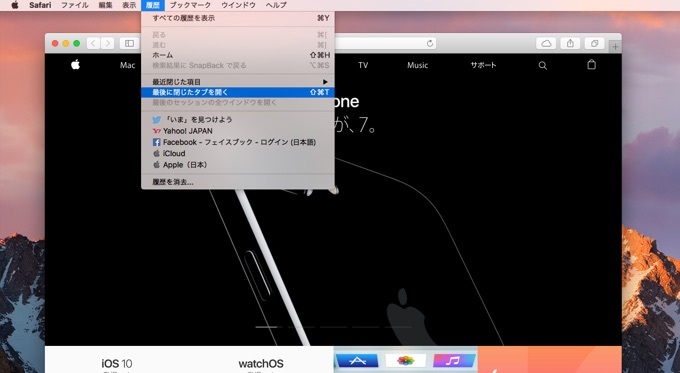 Safari 10では[Command + Shift + T]で最後に閉じたタブを復元することが可能に。 | AAPL Ch. In Safari 10, you can hit ⇧⌘T to reopen the last closed tab or window! And ⌘Z can undo closing multiple tabs in a window.